This expansion looks like it will be fun for Mech fans. Blizzard surprised players by revealing numerous new cards today instead of just one. 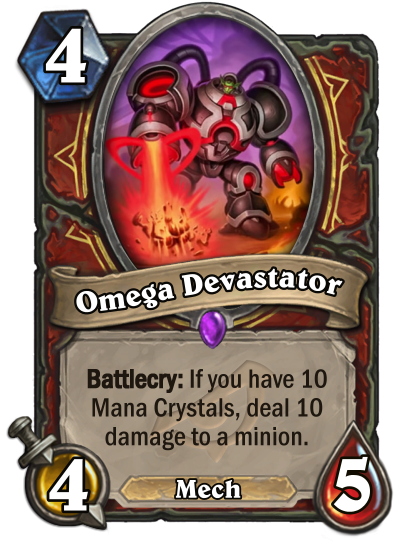 Omega Devastator is a welcome surprise to the Rise of Shadows expansion, and it’s Dr. Boom’s callback card. Callback cards feature old mechanics that members of the league of E.V.I.L will be bringing with them from their past expansions. Madame Lazul’s callback card, Forbidden Words, was previously revealed and is a callback to Forbidden cards from Whispers of the Old Gods. It looks like Dr. Boom will be bringing back the Omega mechanic from Boomsday Project. This four-cost Mech has four attack and five health—and it has a devastating Battlecry. If you have 10 mana crystals, you can deal 10 damage to a minion. Omega cards were designed to have decent stats on their own, but to have insane power in the late game. This low-cost, late-game removal playstyle seems to be a theme with the upcoming expansion. Scheme cards have an ability that will be used similarly, gaining more power the longer they’re in your hand. 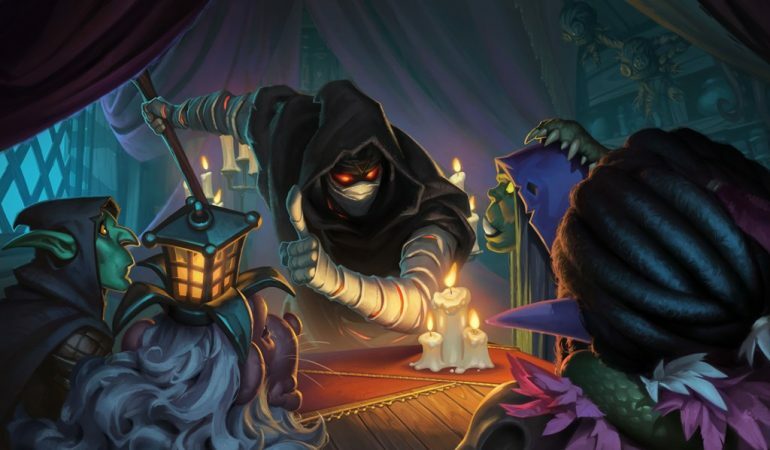 Hearthstone’s Rise of Shadows expansion drops on April 9 across all platforms.